W7 Iconic Mascara With A Waterproof Twist. With A Formula To Last All Evening. 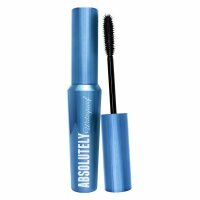 Absolutely Waterproof Is A Black Mascara With A Soft, Spiked Brush. It Boosts Volume, Length & Adds Extra Curl To Give You Brilliant, Bold Lashes. Each Spike Separates & Therefore Emphasises Each Lash To Give A Dramatic Curl.